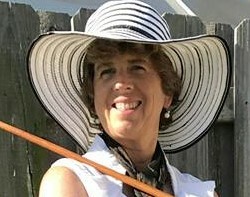 Beginning to Advanced players find Carole Clark ParXlent Golf instruction style simple to apply while being intense enough to move them to the next level in their game, whether a casual weekend player, a weekly men’s or ladies league participant, club champion or a tour player. Men, women and kids feel comfortable with the instruction they receive from Carole and ParXlent Golf. Those new to the game or the casual golfer will gain new and improved skills and confidence. Advanced players will achieve their ball striking and scoring goals through simply applied principles and encouraging demeanor. And, most of all, everyone will have a great time! Carole is available in Estero, FL at The Club at Grandezza for members as well as for their eligible guests. You may call or text Carole at 828-280-4653 or contact by email at caroleclark81@gmail.com.